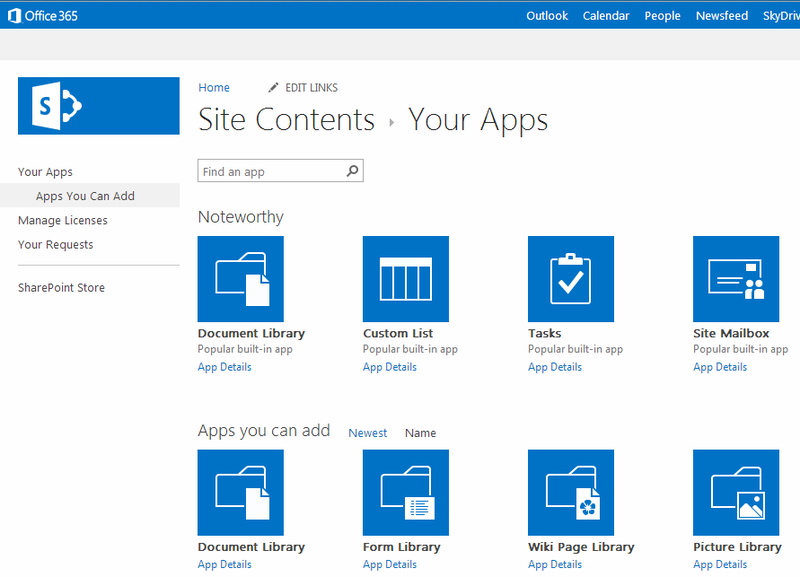 Sharepoint Apps are self-contained pieces of functionality that extend the capabilities of a SharePoint website. Apps integrate the best of the web and SharePoint; they are lightweight, and easy-to-use, and do a great job at solving a user need. 2. Click on Add lists, libraries, and other apps. Discover new tools to get things done. 3. Use Noteworthy Apps and Apps you can Add. 4. 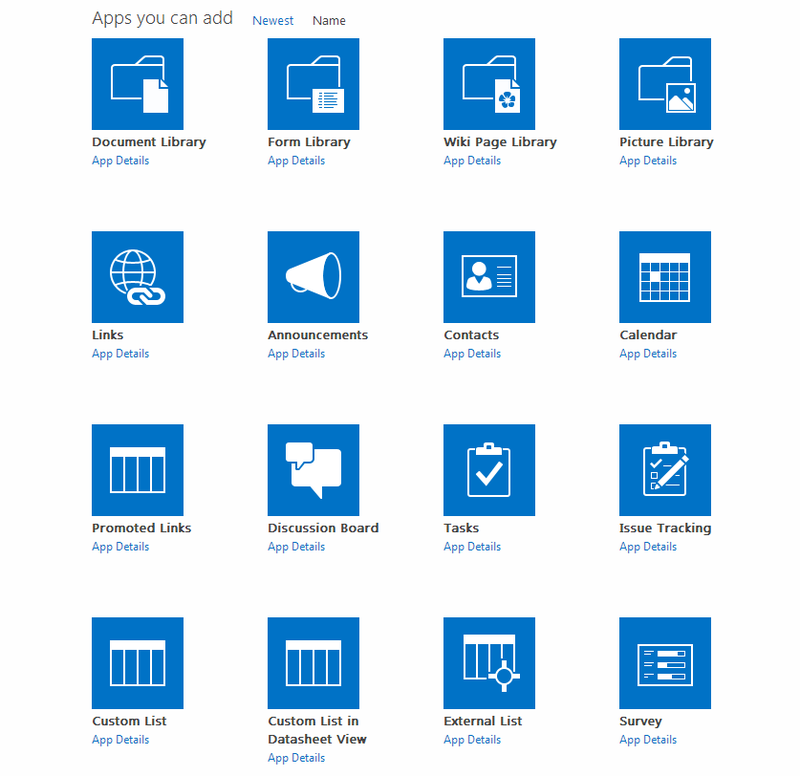 Noteworthy Apps contains Document Library, Custom list, Tasks, Site mailbox. 5. Apps you can add contains apps used in your projects very often. 6. Document Library where user can store, share their documents with other peoples in their organizations. Document Library has many features like Versioning, Check-in and Check-out of working documents. 7. Custom List where user can customize their own columns and add their individual lists in it. 8. Site Mailbox helps user to keep email and documents. User can connect their email with Exchange mailbox; can view their mail in Sharepoint also.